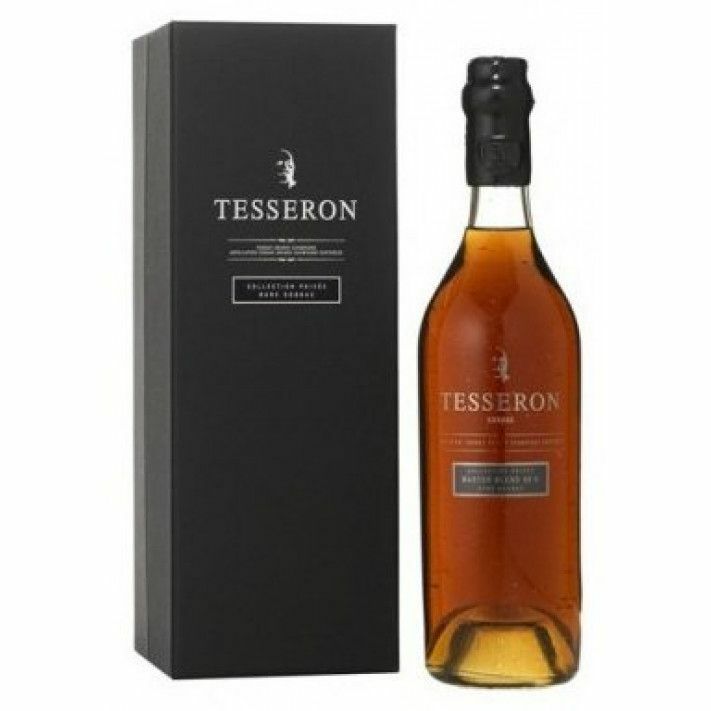 Tesseron Master Blend 88's Cognac is a very special creation from the oldest reserves of the Tesseron family’s 19th century paradise cellar. The number 88 refers to the 88 finest Grande Champagne blends that make up this wonderful aged cognac delight. Only 286 bottles of Master Blend 88’s are available throughout the the world, making this truly a cognac for the collector. Conserved patiently in a 12th century cellar, with their necks very carefully sealed, the cognacs that have gone into to creating this masterpiece are fruits of intense and arduous labor. Each eaux-de-vie alone testifies to the demands and passion that has characterized, and continues to characterize, each generation of the Tesseron family in the process of creation and maturation of this rare elixir. Cognac Tesseron specializes, as this slogan suggests, in high-end cognacs. As their marketing slogan suggests, they only produce “XO and Beyond”, so cognacs from the XO age onwards. From their ancestral home Domaine Tesseron in Châteauneuf-sur-Charente, which lies between Cognac and Angoulême, the Tesseron family traditionally used to sell its eaux-de-vie to the large cognac houses. But in 2003 they decided to release a range under their own family name. The Tesserons are also active in wine production, owning Château Pontet-Canet – a Pauillac classified property producing Grand Cru Classé Bordeaux wine. Tesseron tasting notes: "Very fresh pear & quince notes at first, giving way to herbaceous elements - dried fruits and nuts. Fresh, with intriguing hints of almond." Tesseron tasting notes: "Supremely elegant, combining macerated dried fruit with hints of mocha and cocoa, refreshed by floral aromas. Extremely well balanced and wonderfully complex, with marmalade notes emerging on a persistent, stylish finish."